Scarfs, Scarfs and more Scarfs. 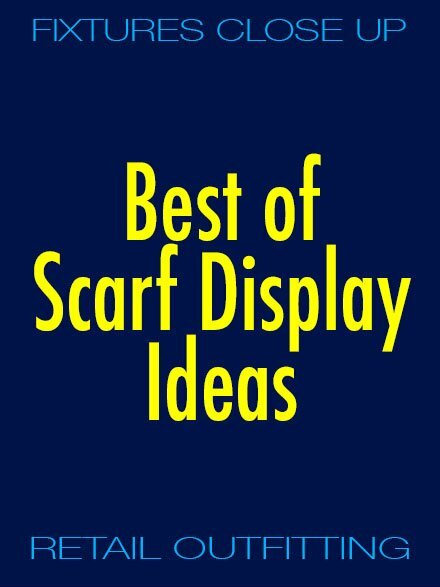 Scroll down to explore Best of Scarf Store Fixtures via the 6 categories of scarf display, knotting and visual merchandising listed here, or link out to the individual Index Pages for each of the categories via short list immediately below. 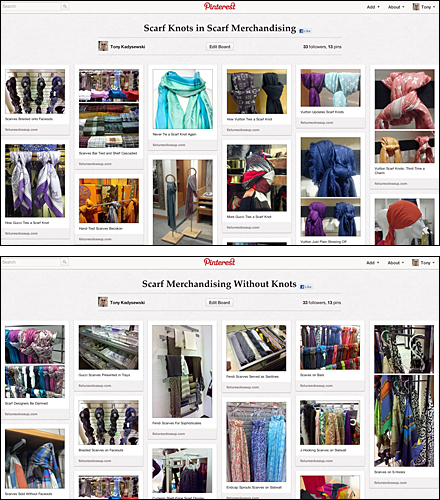 See that you have the option of exploring by written Titles or visually via Pinterest Board and Photo Pin. Shout out if you get lost among the 100’s of offerings. FixturesCloseUp will send in a search and rescue team to find you. If you escape with your life, come back to monitor additional changes and ongoing additions to scarf and related offerings.